It's true -- a way to a man's heart is through his stomach. 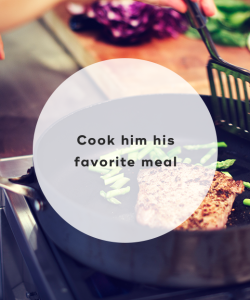 Show your boyfriend how much you appreciate him by cooking him his favorite meal. This demonstrates not only that you care about him, but that you really know him as a person. Part of showing your boyfriend that you truly value him is taking the time to make him a priority in your life. 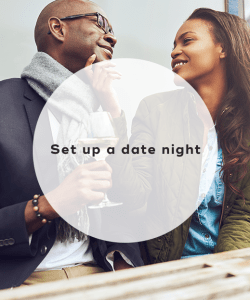 Schedule a date night a few times each month where you spend quality time with each other. This could involve going to the movies or out to dinner. Your boyfriend will get the message that you really appreciate him. 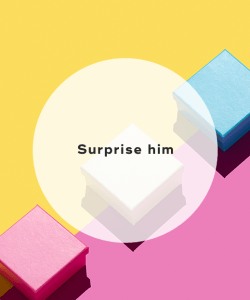 Surprise your boyfriend with tickets to see his favorite band, or by buying him something he's had his eye on. It doesn't have to be flashy -- just something your boyfriend wants. It's guaranteed that he will be super surprised and grateful. 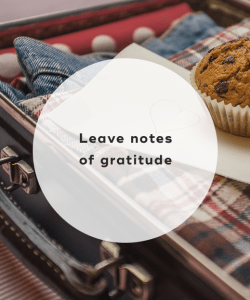 Take a moment each day to send your boyfriend a text or leave a sticky note for him expressing just how much you appreciate him. He'll cherish each message, and it'll strengthen your relationship. Try to come up with 30 days of separate thoughts of why you appreciate him. 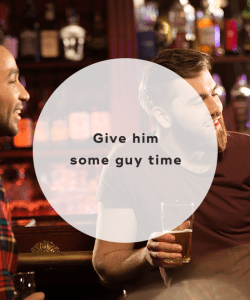 While you and your boyfriend might have a super close relationship, it's important to let him hang out with his dude friends every once in awhile. This will give both of you some much-needed space, and allow him to recharge his batteries. Plus he'll be super thankful for the chill time. Showering your boyfriend with compliments will not only boost his self-esteem but also let him know how much you appreciate him. For instance, if your boyfriend gets a promotion at work, you should say something along the lines of, "Wow...they finally see what a hard worker you are!" Does your boyfriend have a favorite dress of yours that he loves seeing you in? Then you should wear it more often! Dolling up on occasion lets your boyfriend know that you still want to look good for him. He'll feel desired and appreciated. Men are hardwired to be problem solvers. 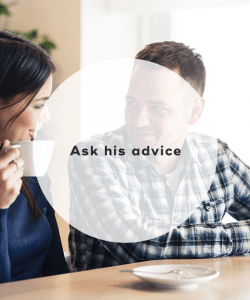 Ask your boyfriend for advice, whether it's how to ask for a raise or which new laptop to buy. This will send a message to him that you view him as trustworthy and that you value his judgment. In addition to telling your boyfriend how much you love him, it's important to show your love through small acts of kindness. Take a few moments out of your day to really demonstrate how much you appreciate your boyfriend. It'll definitely make your relationship stronger and healthier. "22 Little Ways to Show Your Partner How much You Appreciate Them," Prevention, February 1, 2018. "11 Things That Mean More to Men Than 'I Love You,'" Women's Day, August 30, 2016. "7 Small Ways to Show Your Partner Appreciation," Huffington Post, November 24, 2015. "10 Ways to Tell Him You Love Him Without Words," Redbook, September 8, 2017.